Well think again ! Even high end models focus in a series of zones called focusing steps, Not that most manufacturers let you know. But in 1991, Olympus were only too keen to tell us with the μ[mju:] (aka mju-1 or Stylus) a camera that changed the face of the AF compact market. It was the μ[mju:] that really woke me up to this issue. I had been aware that some early cheap AF camera were really just automated Zone focus beasts. What I hadn’t realised was pretty much every AF compact ever made not really been aware of this little hidden secret in the world of camera design. Whitby Harbour, 2017. 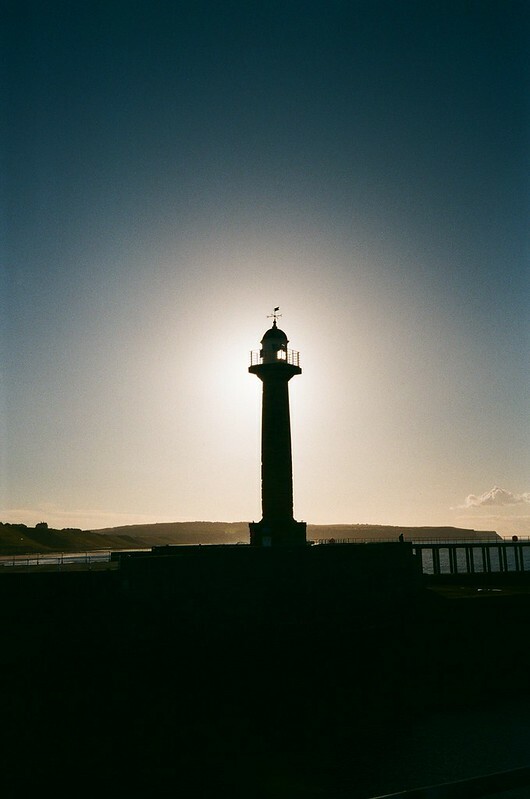 Olympus mju-1 with Agfaphoto Vista 200. 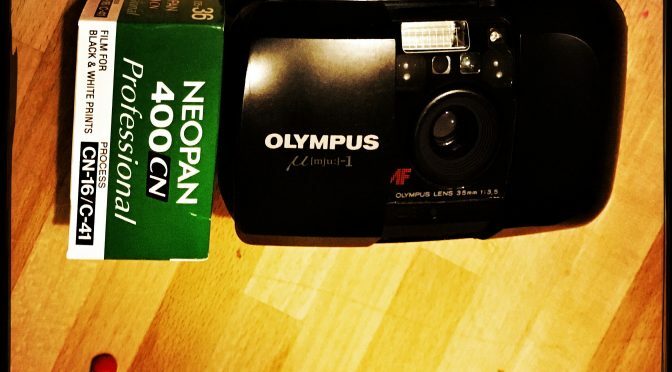 A good example is the Olympus Trip AF a cheap little compact selling on the mighty Trip 35’s name. This according to camera-wiki actually just focuses at 1.5 and 4 metres (I’m guessing there is a 3rd focal setting for hyperfocal infinity if it misses those points). Now that makes some sense in a cheap compact as with a bit of luck depth of field will mean most things will be in acceptable focus. That principle made zone focus compacts such as the legendary Olympus Trip 35 such killer compacts in the the pre AF era. The Trip 35 has just 4 focus zones (aka steps) but this late 60’s classics was still selling as a killer compact into the 80’s long after AF arrived. Olympus relied on depth of field trick alongside killer Tesslar optics. This makes the Trip 35 lethally sharp in all but lower light. But surely high end cameras solve that with continuous smooth AF. Not much is listed in specs about focusing steps with the exception of the groundbreaking Olympus μ[mju:] I. It clearly lists 100 steps in its specs and Olympus still are proud enough of that to make & continue to make that point in their camera museum. That point was clear – we have more steps than anyone else. Of the dozens of well regarded compacts in the late 80’s little is know about their step count. For example, the much loved Ricoh FF-9s from 1990 gives little clue in its manual. Admittedly it is just a re-hashed FF-7 (1988) but a typical camera pre our Olympus mju. 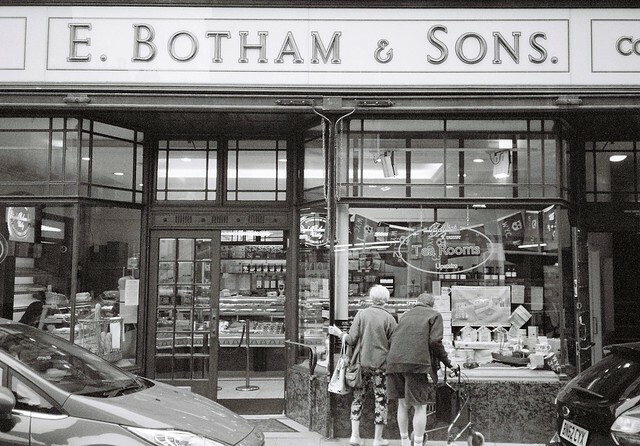 Dumfries 2016 .Ricoh FF-9s with Fujifilm Neopan 400CN. So what does this mean for your camera ? 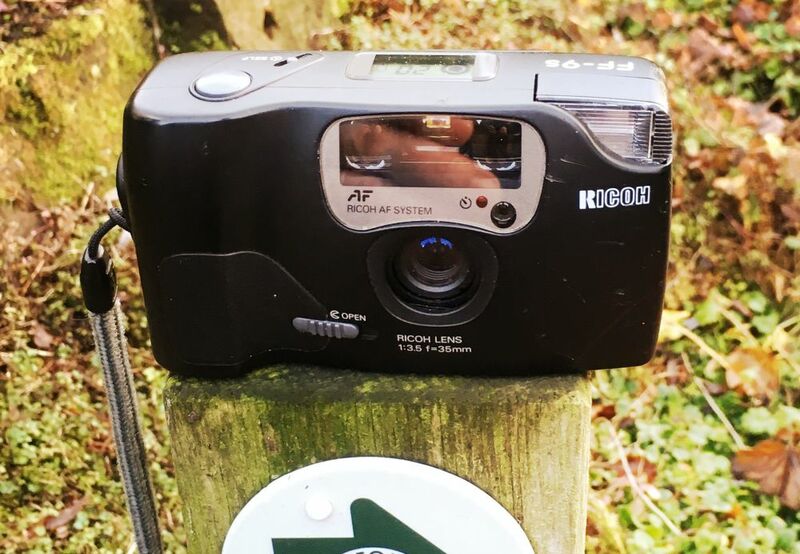 By the time we hit 100 steps AF step focusing really is almost as good as you could get with a smooth linear focus – Take the μ[mju:]’s spiritual predecessor the XA rangefinder. I’d like to see someone try and demonstrate more than 100 distinct & meaningful focal points when focusing by hand. I’d struggle to get 100 meaningful points on a manual focus SLR lens. Whitby, 2017. Olymps Mju-1 (infinty stylus) with Expired (2014) Kodak BW400CN. Secondly Olympus nicely draw a historical line for us. It is likely that rival quickly caught up so this in part explains why cameras from the early/mid 90’s on are that bit crisper on average (another good example perhaps is the Pentax Espio AF Zoom v the Pentax Zoom 70 – just a few years difference but noticeably better). It also in part explains why classic 90’s cameras like the mju-II are able to rival later elite models. And as with the Ricoh, why cameras with average performance can sometime pull of a stunningly focused shot. Previous PostColour Testing Ferrania P30 AlphaNext PostFerrania on Ferrania – Ciao Italia ! Added to this of course the mju-1 focuses down to about 0.35m, where the vast majority of compacts top out at around 0.9m or even worse, so Olympus really did excel themselves with this little gem’s AF system. Although interestingly I’ve found my mju-1 (and the LT-1, same innards in a fancy leather body) seems more accurate and consistent in focusing closer than far away. I wonder if sometimes there are too many focus points when you just want to capture a whole scene, and using the hyperfocal distance and a smaller aperture would in fact more reliable. I definitely shoot my mju-1 at less than a couple of metres for the vast majority of shots, but it wouldn’t be the first compact I’d pick up if I wanted street scenes with everything sharp. Interesting re the distance. I’ve long said that’s the Achilles heel of any active AF system. I’m pretty sure the IR beam commonly used would not have signal strength or be too diffused when bounced of something more than say 10 metres away. Many AF compacts have landscape/panorama mode where the focus is locked and aperture is force narrowed to f/11 to ensure maximal hyperfocal depth without causing too much diffraction. The Ricoh mentioned is a good point as are many an Espio. Few AF compact film cameras meet the requirement to see-point-press that fixed focus or zone focus cameras offer. Personally speaking, if I have to wait for focus to settle I may as well focus manually on a rangefinder, though our requirements are all different. Compacts as a whole tend to work best with faster film and/or brighter conditions, where the shutter speed-aperture combinations kill shake while allowing the lens to function at optimal f-stops. Outside that sweet spot image quality suffers. I own around 50 compact film cameras, and it’s surprising how often fixed focus, Waterhouse stop, P&S cameras outperform cameras with much superior specs, because they’re quicker and function at optimal settings. This requires good light, but I’d argue most point and shoot cameras do for consistent results. Totally with you. My camera bag if not loaded with a SLR or rangefinder will almost always have a zone focus or fixed focus compact. My go to carry camera for trips away has been the Olympus PEN EE-2. A fixed focus number but in good light you’d struggle to know and produces shots as good as any AF compact I’ve held if not better. 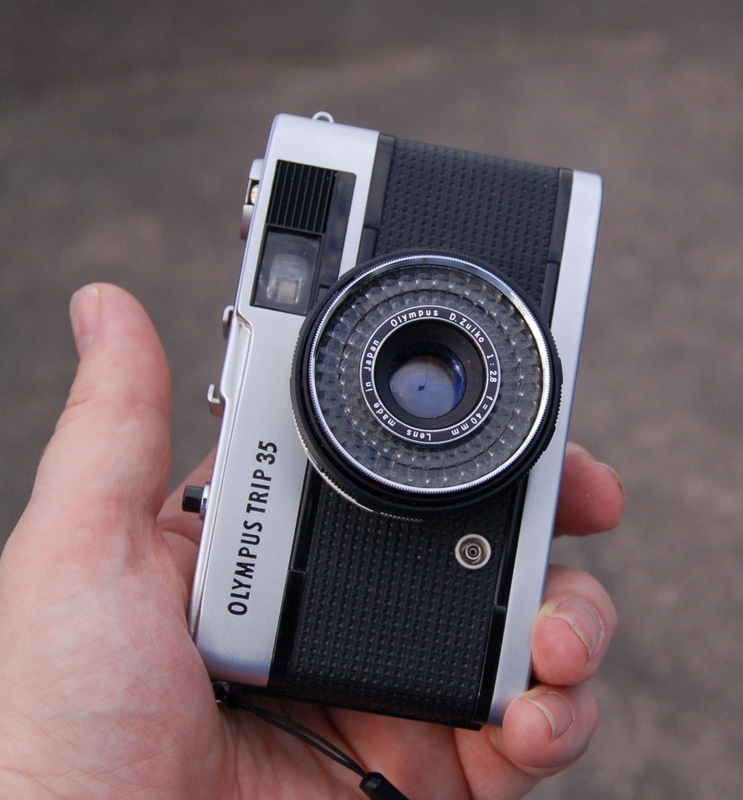 Yes, Olympus had few rivals in that era of micro cameras, although I miss the built in flash of later compacts. 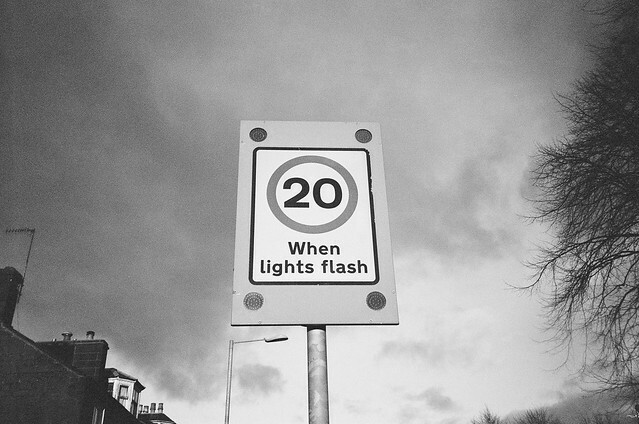 The UK doesn’t enjoy the sunlight of some parts of the world, and flash often makes the difference between a sharp, well saturated image and a dull and blurry one. Even the 3-element, plastic lensed Olympus Shoot n’Go – essentially a disposable camera with an opening back – takes surprisingly sharp photographs with the help of fill-in flash, and is my default camera for the beach. You learn something new everyday. I wonder about the Yashica c.1990 bunch of compacts and how many focus steps they have, not just the T4/T5 but also the lower end almost as good models such as the minitec AF? They, with the exception of the AW-mini have a minimum focusing distance of 0.25-0.35m.